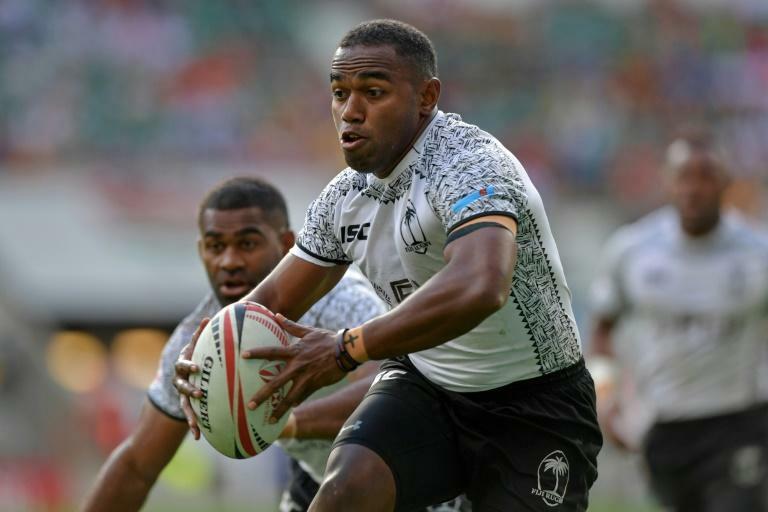 The Rugby World Cup Sevens will break new ground here Friday when the tournament kicks off in San Francisco with Olympic champions Fiji determined to wreck New Zealand's aim of becoming the first side to successfully defend the title. The seventh edition of the 24-team seven-a-side tournament, which is being staged at AT&T Park, home of baseball's San Francisco Giants, is the first Rugby World Cup event of any kind to be staged in the United States. The three-day extravaganza is taking place as rugby enjoys a surge in popularity in the United States, buoyed by the success of the men's sevens team and greater exposure of the sport than ever before. World Rugby chief executive Brett Gosper told AFP in an interview that the tournament, which will be broadcast free-to-air on NBC television, could ultimately prove to be a "game-changer" for rugby in the United States. "It's something that can ignite the sport in the US," Gosper told AFP. "We're realistic. It's only three days. And you can't change the world in three days. But you can light something and create a detonator for greater things later." Taking the tournament to uncharted territory could in theory be a risky move. The last edition of the World Cup Sevens was staged in Moscow in 2013 before swathes of empty seats in the Luzhniki Stadium. Tournament officials however are confident of a better turnout in California this weekend, one of the traditional hotbeds of American rugby. A sell-out crowd is expected for Friday's opening day of action. The tournament is also unveiling a new single-elimination knockout format. Unlike most sevens tournaments, which divide teams into round-robin groups before they advance to knockout rounds, this weekend's tournament will leave teams on a knife-edge from the opening game. Sixteen teams will face off in a preliminary round for the right to advance to the knockout rounds, where eight seeded teams -- New Zealand, Fiji, South Africa, Australia, England, Argentina, Scotland and the United States await. South Africa's "BlitzBoks" are seeded in first place after a successful season which saw them defend their World Sevens Series title with victory in the Paris Sevens last month. However the South Africans have never lifted the World Cup crown, with their sole appearance in the final coming in a memorable 24-21 defeat to a Waisale Serevi-inspired Fiji in the 1997 final in Hong Kong. "We don't have the greatest of records in this tournament, but that said, we know we will be a very competitive team if we play to our strengths," Blitzboks coach Neil Powell said. Yet while the South Africans are top seeds, the smart money is on Fiji to capture their third crown after wins in 1997 and 2005. The 2016 Rio Olympics gold medallists have named a formidable squad which contains France-based stars Semi Radradra and European Player of the Year Leone Nakarawa. Fiji will face either Uruguay or Japan in Friday's opening round. Holders New Zealand meanwhile have only two survivors from their win in Moscow five years ago, captain Tim Mikkelson and Kurt Baker. Joe Ravouvou will be the main attacking threat for the New Zealanders, who are undaunted by the challenge of attempting to become the first team in World Cup Sevens history to win consecutive titles. "No team has ever won back-to-back World Cup titles since it's started so we have certainly talked about that and about being the first team to change that," said coach Clark Laidlaw. New Zealand's female counterparts in the women's tournament meanwhile will kick off on Friday as the team to beat. The top seeds were convincing winners of the 2013 tournament and won three of the five events on this year's world sevens circuit. The Kiwi women will have the most potent tryscorer of the season in their ranks in the shape of Portia Woodman, who crossed for 43 tries this year. "We have had a good year, but this group is strict on themselves, we think we have room to improve and those last bits we need to get right are the toughest," said New Zealand coach Allan Bunting.